© Provided by LawNewz, Inc.
Two sisters in Columbia, South Carolina are accused of literally trying to beat the devil out of a woman. 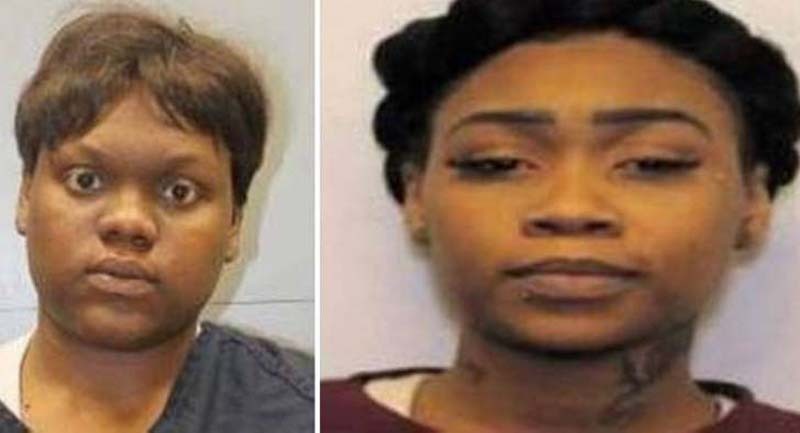 Brittany Jones, 28, and Tiara Jones, 26, kidnapped a 56-year-old woman for an attempted exorcism, according to the police press release published on Monday. This happened at a home on March 19, cops said. Brittany Jones, believing the woman to be “possessed,” held her captive and beat her with a cross, police claim. She allegedly struck her in the upper and lower body. The woman escaped, and was helped out by a neighbor. An officer responded on the morning of March 20, according to the incident report obtained by The Post and Courier. The alleged victim told police she had not been able to make food for herself, and so she had not eaten since the day before. She received medical treatment at a local hospital, cops said, and her injuries were said to not be life-threatening. Jones, who was arrested last week, is being held at the Alvin S. Glenn Detention Center in lieu of $100,000 bond on one count of assault in the first degree and one count of kidnapping. She could not be reached for comment. There were also outstanding warrants on sister Tiara Jones, who was being sought by police in connection to the allegation, and on the same charges: first-degree assault and kidnapping. A Columbia police spokesperson told Law&Crime on Wednesday that she has yet to be apprehended.